The English language is full of wonderful words, if only one can find the opportunity to use them. 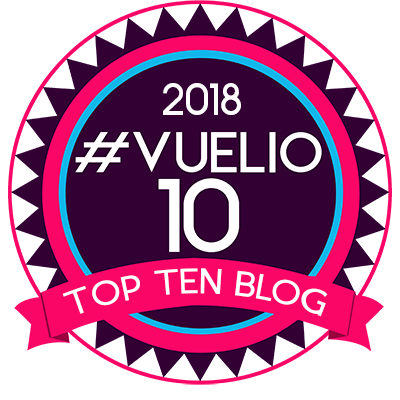 Thought to be one of the hardest words to translate into other tongues is ‘serendipity’, meaning ‘the accident of finding something good or useful while not specifically searching for it’. 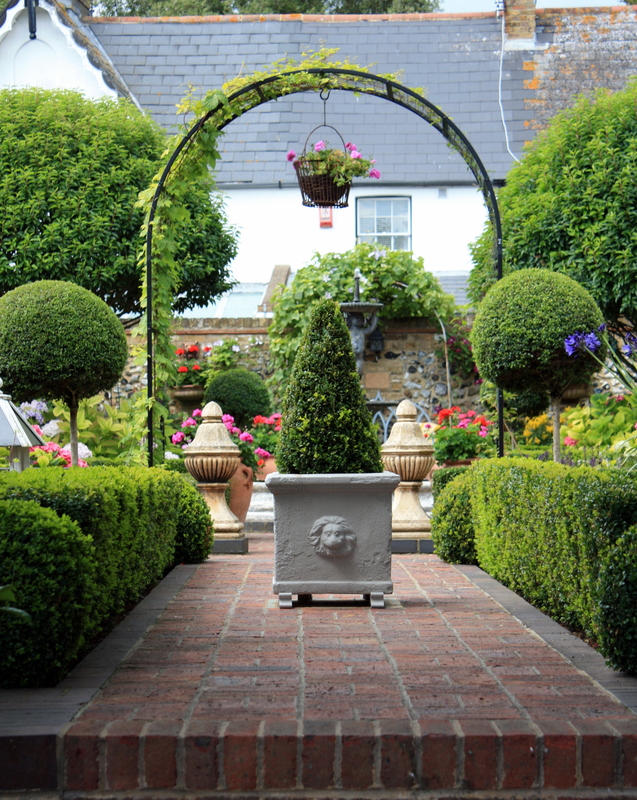 And so it was, by taking a different route to the seafront, that we stumbled upon the secret Italianate garden at 3 Stone Road, Broadstairs. Open for the first time for the National Gardens Scheme, this was the kind of serendipity that really makes one’s day. A reminder that it pays to take a detour (with a camera!) every now and then. We regularly drive past the garden’s rough flint walls, just outside the main town, on the way to the grand estates at North Foreland. The glimpse of a classical pavilion and row of elegant silver birches hints at further delights within. Yet until now the sombre grey garden gate had remained firmly closed. And quite right too, for the garden’s main charm is that it’s a private oasis away from the hustle and bustle of a busy seaside resort. The gardens are the lovechild of Sandra Holloway and have been developed around her immaculate Regency House, built in 1827. Broadstairs has a long and cherished relationship with Italy and Italians, boasting the famous Morelli’s ice cream parlour and numerous fabulous Italian restaurants. 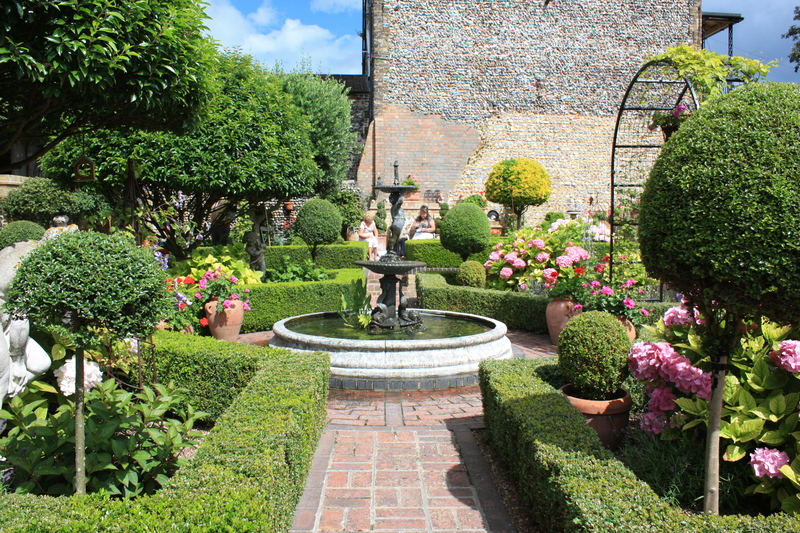 And so, whilst unexpected in this genteel setting, it’s fitting that this garden is inspired by Italy. 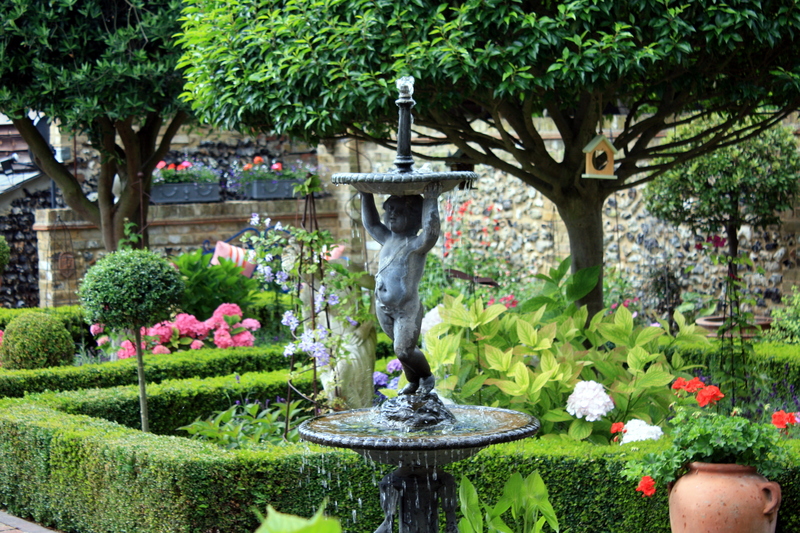 The design is strictly formal and centred on a fountain, complete with sturdy cherub. 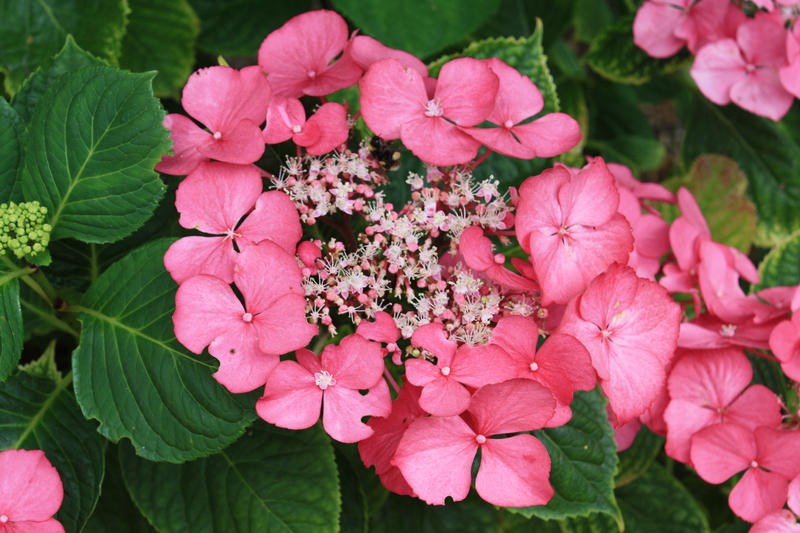 Pollarded olives, neatly clipped hedges, hydrangeas and ample terracotta pots overflowing with geraniums complete the transporation to shores of the Italian lakes. There are lots of level changes in this garden, which add to the interest. 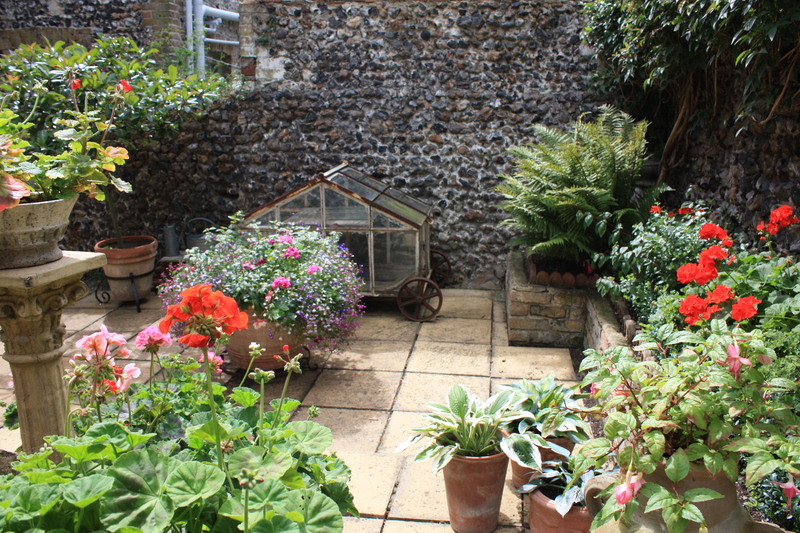 A quiet courtyard outside the living room plays home to a wheeled terrarium, ferns, hostas and more colourful geraniums. A lovely place in which to enjoy a glass of rosato as the sun goes down. Back towards the front of the garden, a quiet spot beneath immaculate birches is occupied by pots of hostas. 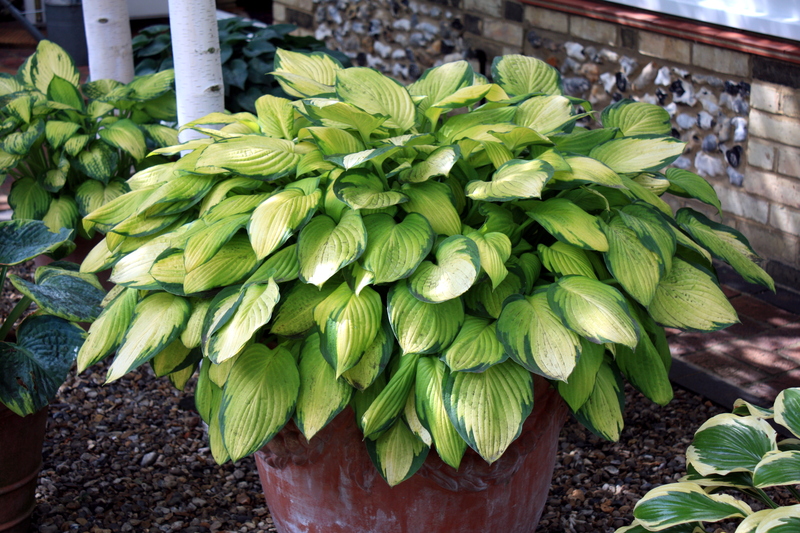 This gold variegated form was especially eyecatching and one I’d have happily carted home! Some might find this miniature Italian garden a tad twee, but no-one could criticise the flawless maintenance. A woman after my own heart, Sandra had opened her garden without so much as a leaf out of place. Clearly this garden means everything to her and that showed. 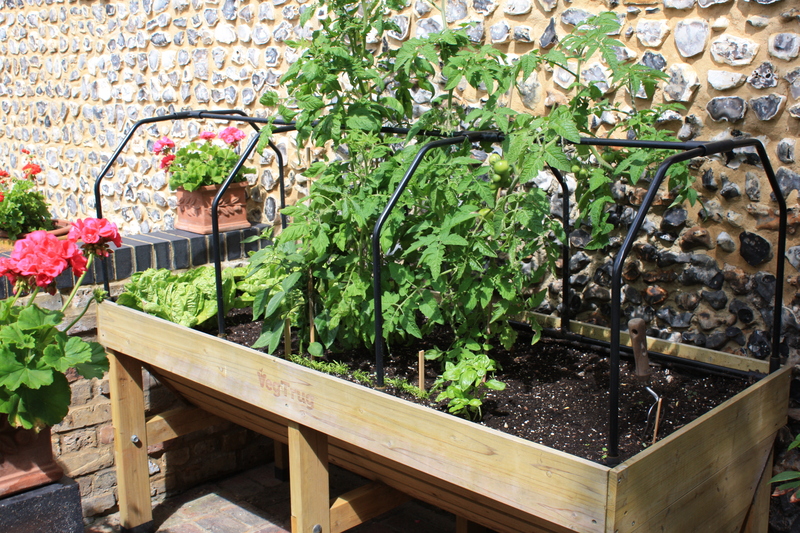 But although neat, the garden was far from sterile – in a quieter corner, space was even found for a modest selection of salad vegetables. 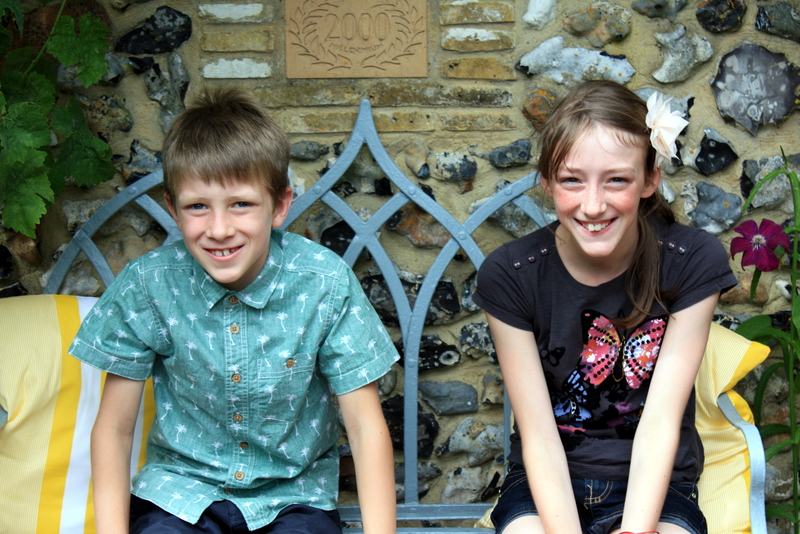 Don’t you just love the dressed flint wall behind them? And it wasn’t just grown-ups enjoying the garden this Sunday, it was youngsters too. Here are our friend’s children Jack and Scarlett, who light up our life every time they visit, enjoying one of the pretty clematis-covered arbours. They loved the flowers and the maze-like brick paths around this pretty garden, comparing it cheerfully to our managed jungle just a couple hundred metres up the road. Two very different gardens, both foreign in their own ways, but I’d like to think equally well executed. Salute! Now, that is what I think of when I hear English Garden! I know it is formal and most of us prefer something more comfortable but I do love looking at it. Thank you for sharing with your readers and those two handsome children. Yes, not much space for running around or lounging about here. No verdant lawns either. I would want to blur the boundaries a little if it were mine, but nevertheless a very loved garden. Jack and Scarlett will like your description and have shared the post with their grandparents.